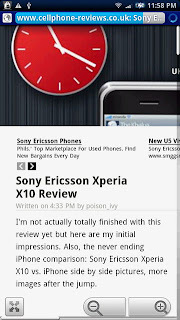 The Sony Ericsson Xperia X10's other UI is the Mediascape. 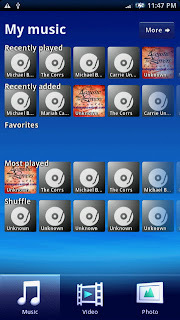 You can view your music, videos and photos in mediascape and you get a nice graphical interface compared with Android's standard music player. 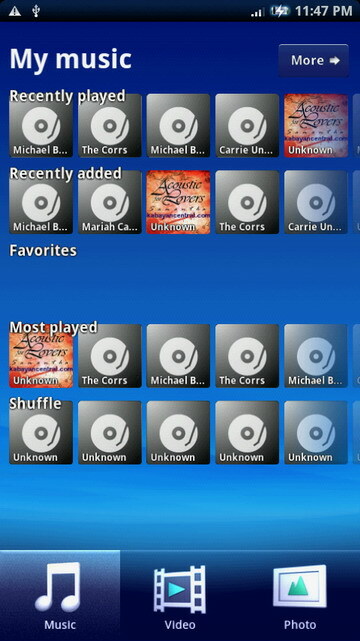 The mediascape music player is really great in terms of UI. It collates your songs by recently played, recently added, your most played, and even randomly selects its own playlist for those days when you just want to zone out on whatever is playing on your music player. The thing I don't like is that it can't be used when the phone is in landscape mode and there are no equalizers or sound enhancements. As I've mentioned in my initial review, sound quality through the speakers are poor, be it voice or audio. Do NOT, I repeat, DO NOT, use the speakers when you want to boast your phone to your friends or they might think you havea China phone with built in AM player. Audio quality through the headset is a vast improvement over the speakers. The Xperia X10 has a beautiful 4 inch screen which is perfect for watching videos...well, it would be perfect except for the poor speakers but you can always use the headset. With the mediascape photo viewer, you can add online services such as picasa and facebook wherein you can easily share your photos. There's never lack of connectivity option with this mobile phone. You get triband 3G and quadband gsm network, wifi, microUSB, Bluetooth, and GPS. Sharing photos via Bluetooth is easy and I don't even have to pair my Vista laptop and the X10. There's an included Wisepilot application which you can activate by sending an SMS to UK. The GPS antennae locks in satellite signals pretty fast but unfortunately, I couldn't take it out to test the turn by turn navigation because there was no maps available in the country I'm currently located. The web browser is fast thanks to the 1ghz processor, but there's still no flash here. Embedded YouTube videos are played on a separate player. 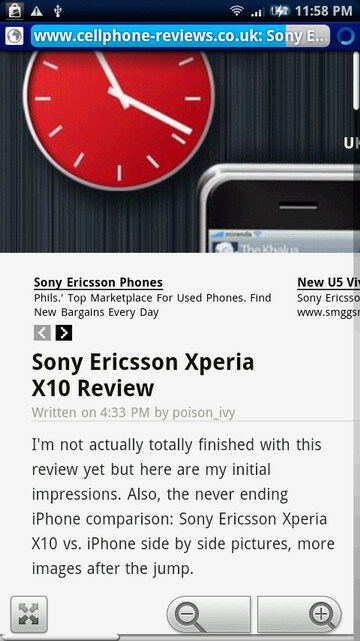 Sony Ericsson deflated my hopes for this phone by announcing it can't support multiouch ever because of the hardware. 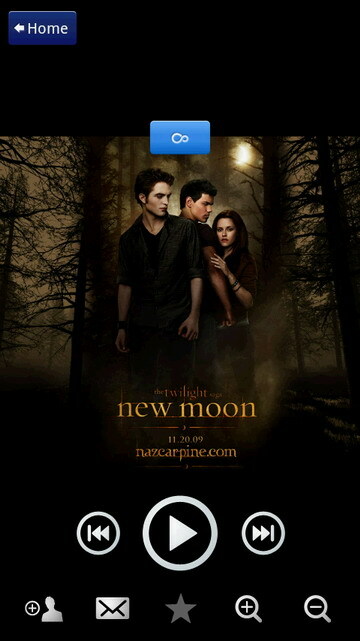 The browser would have been great, I could live without multitouch for a while but even tap to zoom is not supported. 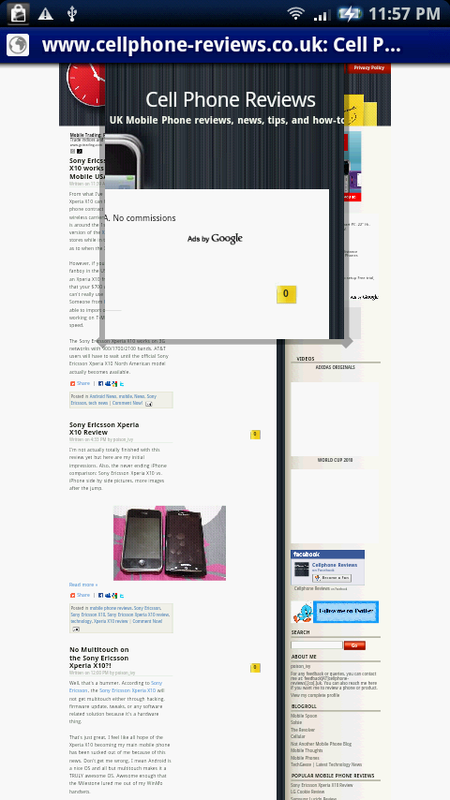 You have to make use of the magnifiers on screen to zoom in and out of webpages.